Wow these are some funky looking hip flasks. 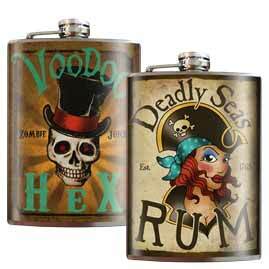 The pocket Hip Flask Company love finding new and interesting hip flasks. 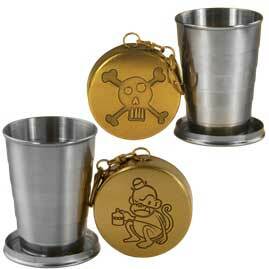 These great looking funky hip flasks are made in America and are designed so as to stand out. These American art inspired hip flasks come in 79 different styles. Original art on a stainless steel hip flask. No copies, no bland or generic images. All original designs, drawn and created in Portland, Oregon in the U.S of A. All of these hip flask designs are printed on a high quality vinyl label that is completely water proof (and alcohol proof). Each label is laminated under a high-gloss finish that will protect and enhance the image. These images are NOT made with paper. Personalise one of these hip flasks with one of our free engraving fonts.